Part six of our series about disorders and diseases with common symptoms that constitute syndromes. Fanconi anaemia is a rare inherited genetic condition, which can lead to aplastic anaemia and bone marrow failure. People with the condition have a predisposition to some cancers. The condition is named after Swiss paediatrician Guido Fanconi. Most commonly, this condition occurs as a result of an autosomal recessive transmission and, more rarely, it is X-linked. When the condition is inherited through the autosomal route, the abnormal chromosome will be carried by both parents. Babies conceived by two people who both carry the chromosome have a 25% chance of being affected. The condition is more prevalent in the Ashkenazi Jewish population, who usually originate from eastern Europe, and in white South Africans. 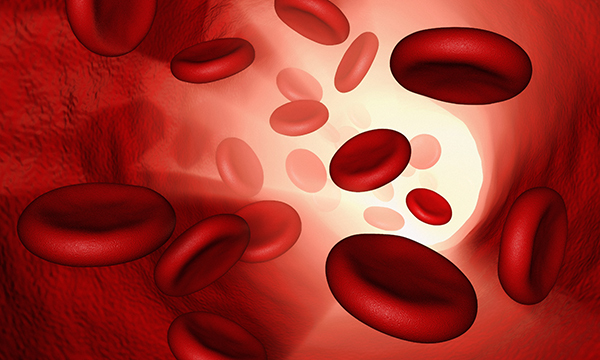 Fanconi anaemia occurs in 1 in 160,000 people worldwide (Genetics Home Reference). There is an association with low birth weight and infants who are severely affected by this condition fail to meet expected milestones for growth. The reasons for this are not well understood. Other aspects of this condition include low blood count, notably erythrocyte, thrombocyte and leukocyte levels. Although the condition is identified by anaemia which is its most prominent characteristic, there are other anomalies such as cardiac defects – renal and urinary abnormalities, skeletal anomalies, unusual pigmentation and susceptibility to developing malignant disease, especially leukaemia. In severe cases the diagnosis may be made at birth and confirmed with genetic testing. If siblings have been affected and parents are aware that they are carriers, it is possible to diagnose it prenatally with a chorionic villus sample or amniocentesis. Affected couples may decide to have embryo screening before implantation. Although controversial, this could ensure that the baby is free from the condition – which could also be useful if a bone marrow donor is needed for a sibling who has the condition. Fanconi anaemia that causes bone marrow failure can be treated with a blood and marrow stem cell transplant if a suitable donor can be found. Transplants are more successful in younger people who do not have other serious health problems. There is no pharmaceutical cure for Fanconi anaemia, but the effects of the condition can be managed. Anomalies such as cardiac defects can be managed surgically. Blood products can be given, and aplastic anaemia may respond to steroids and bone marrow stimulating agents. There should be regular follow ups and screenings due to the higher risk of developing malignant disease. In the future, management may include gene therapy and use of synthetic growth factors. Some children with the condition will be susceptible to infections and they may have frequent admissions to hospital before the diagnosis is made. Due to the mode of transmission, the parents may carry feelings of guilt and this may need to be factored in when interacting with these families. Care plans should be tailored to meet the individual family’s needs and requirements. Amok was diagnosed with Fanconi anaemia shortly after birth and was managed with top-up transfusions, steroids and haematopoietic agents. After genetic testing, his parents discovered that they both carried a defective gene meaning that every further pregnancy would carry a one in four chance of having an affected child. To avoid this, they underwent a managed fertility programme including pre-embryo screening to have a second child. Barnabus was born when Amok was three years old. When Amok was seven years old his routine blood tests identified a decreasing count and the medical team felt that this was an indication of pending bone marrow failure. Barnabus was tested, found to be an excellent match and it was decided to proceed with a bone marrow transplant. The family had relatives in the US and went there for treatment. Although the outcome could not be guaranteed, Amok’s age and the closeness of the match were good prognostic indicators and the bone marrow transplant was the family’s only hope for a cure. By Doreen Crawford, nurse adviser at independent healthcare consultancy Crawford McKenzie, and Annette Dearmun, divisional head of governance and nursing (children and women’s division), Oxford University Hospitals NHS Trust. Both are consultant editors, Nursing Children and Young People.